TigerDirect has a computer case fan for free after $5 rebate. Free shipping cyber monday. Keep your PC cool using the Power Up Case Fan. It comes with a number of features to give you excellent functioning with reduced power usage and noise level. 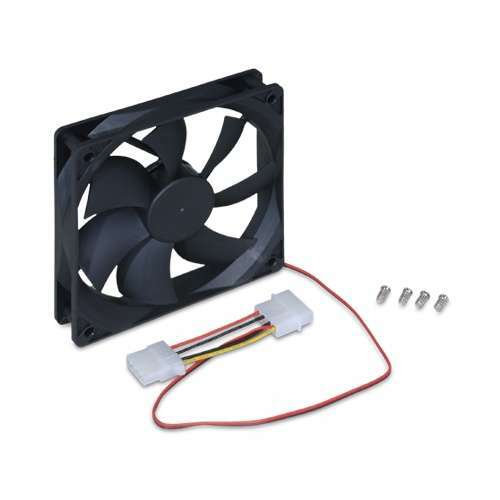 This 120mm Case Fan fits very easily in its respective slot. It has 4 Pin Connector and lets you connect it to the PC with convenience. It conserves energy as it runs on 12VDC and uses very little current at 0.25A (OEM). Coming with Sleeve Bearing Type, it guarantees superior functioning and a quiet performance. Its 37 CFM Air Flow directs high pressure airflow. Buy the Power Up Case Fan immediately. This rebate must be purchased by Friday December 4th, 2015.